Alberto Ascari’s World Championship Victory with the 500F2 Grand Prix Ferrari proved that the Lampredi designed 4 cylinder offered fuel efficiency, competitiveness through lesser weight and more torque. This made Enzo Ferrari launch the 500 Mondial ( 2 litres ) and the 750 Monza with 3 litres as works cars for the 1954 and 1955 Sportscar Championship. The 750 Monza, of which only 30 cars were made, featured the 2992 cc 4 cylinder Lampredi engine with Weber 58 DCO/A3 carburettors producing 260 HP, de Dion rear axle with 5 speed gearbox integral with the differential and beautiful coachwork by Scaglietti. The 750 Monza was successful both years, winning the very first race at Monza in 1954 with Hawthorn/ Maglioli ( which caused the model to be called 750 Monza ), and doing very well in the crucial Mille Miglia event. 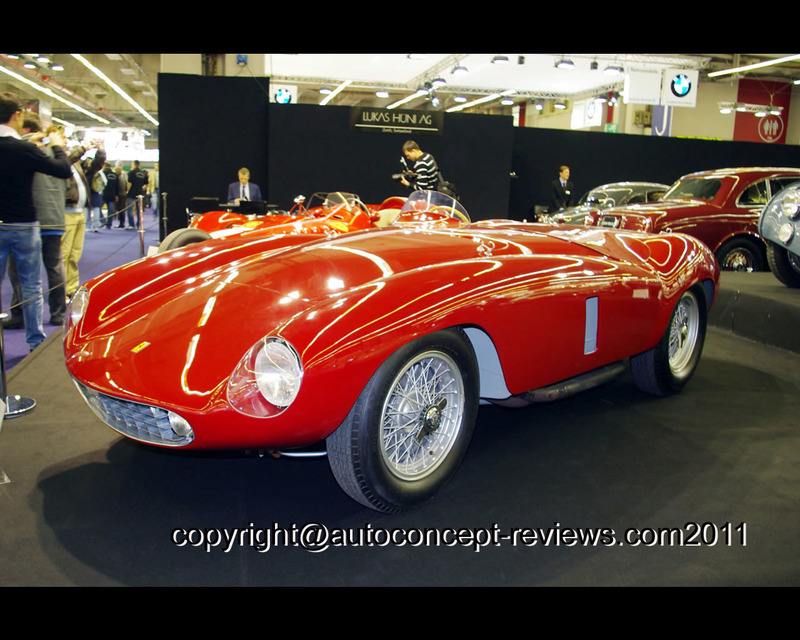 This particular car, 750 Monza Spider Scaglietti Chassis number 0502M, can easily be identified as it is the ony car without the typical head fairing, giving the car an even more streamline appearance. Delivered to Ernie McAfee in Los Angeles in Marh 1955, painted Blue, McAfee enjoyed a brilliantly successful 1955 race season winning 6 out of 8 races outright, and placing 2nd overall at Palm Springs. From 1956 to 1963, 750 Monza Spider Scaglietti Chassis number 0502M continue dits very active race career with Dabney Collins, Masten Gregory, Lou Brero, Jack Bates, Harry Washburn and Bill Fuller. While temporarily with a Chevrolet engine from 1959 to 1980, the original engine owned for many years by famous Richard F. Merritt was re-united with the car car in 1980. Still in american ownership from 1980 to 2007, the car is currently owned by a German collector. 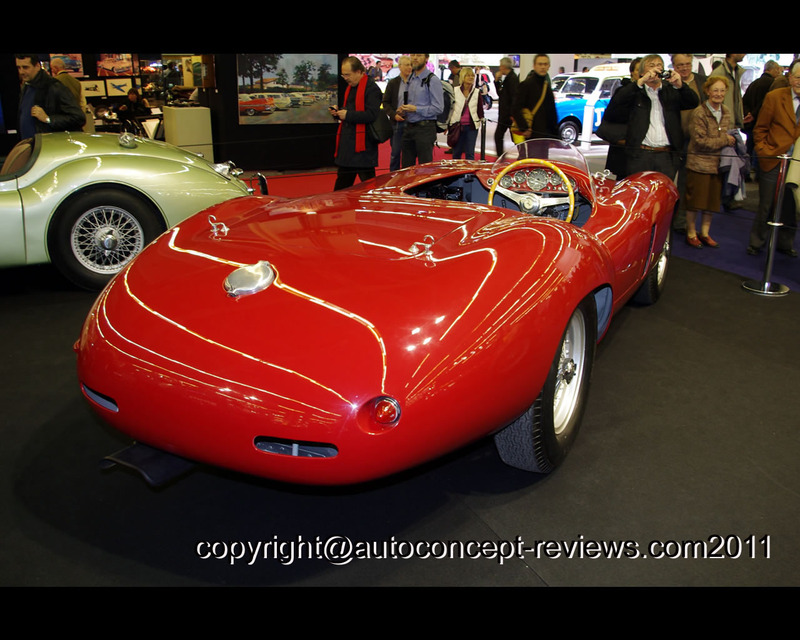 750 Monza Spider Scaglietti Chassis number 0502M is one of the very rare completely undamaged examples of the 750 Monza. 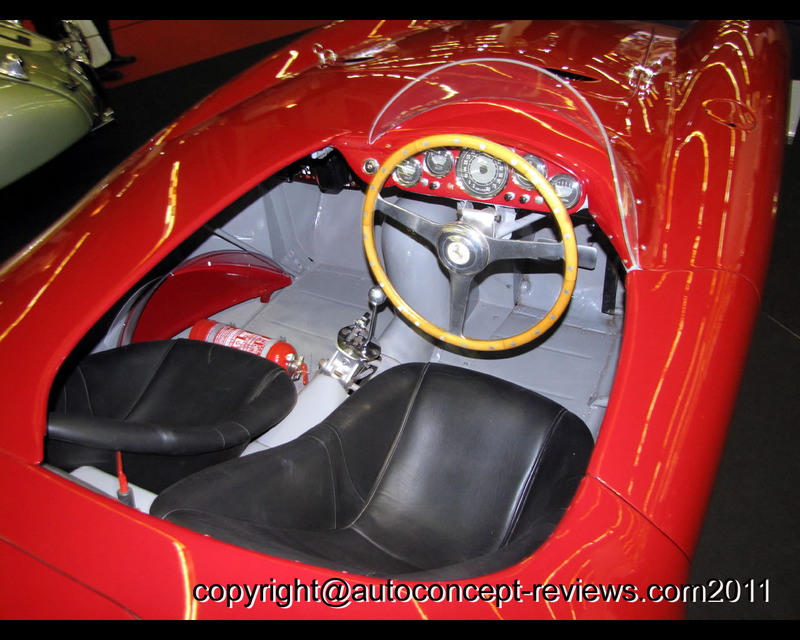 It has all its original mechanical components, its original chassis and its original coachwork. 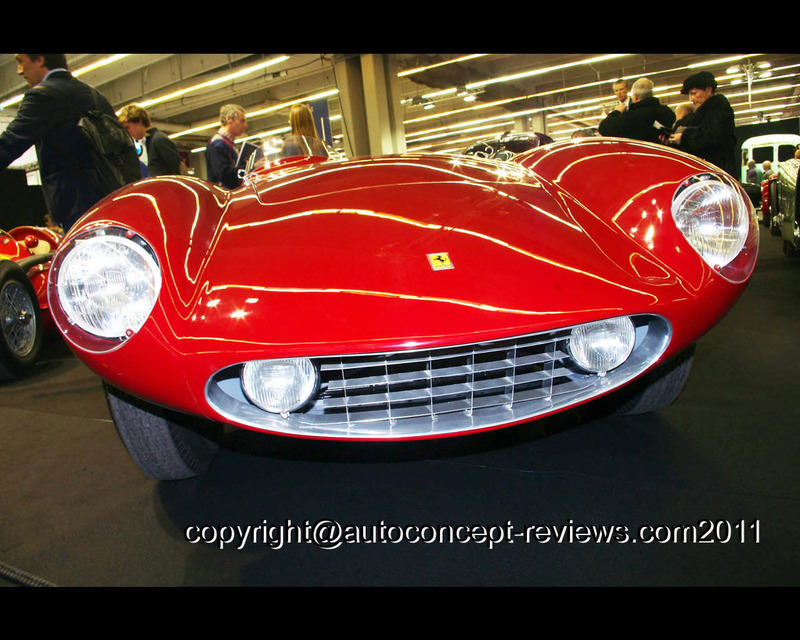 A full restoration to highest standards by Bacchelli & Villa and Dk Engineering as well as Diena & Silingardi in 1998 put the car into Concours condition were confirmed by the Ferrari factory in Modena when the car was granted the factory Certification N° 161F.